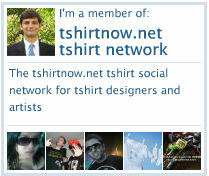 I have been active in the Boston startup community for many years now, as regular readers of these pages know. While in attendance at various startup community events in the Boston area, I often find myself engaged in conversations about venture capital firms and attempts by startups to try and secure venture funding. Of course, this entire process is perhaps more difficult and lengthy than in that era known as the “dot com boom”, but nevertheless the essential five stages of a venture capital deal have remained unchanged. The fundamental aspects of a proper startup management team have remained steadfast throughout economies good and bad. Numerous company founders I have spoken with, although in possesion of perhaps some groundbreaking software or hardware technology, seemed to me to somewhat lacking in the basic fundamental knwoledge of these five stages of all venture capital deals, and how they would need to prepare in order to effectively traverse each of these five stages and the gateway situations which would await them at the conclusion of each stage. So this article has been in the works with me for some time, as I have wanted to go into some detail about each of the five stages, and also speak about what kinds of preparations and trials entrepreneurs should be aware of before entering into this gauntlet. Becoming an entrepreneur is a process, it is not an event. After an entrepreneur has gestated their idea for a new business venture, identified their target market and their marketing plan, and drafted and rewritten a business plan dozens of times, frequently an entrepreneur or a group of new company founders will then decide it is time to find some investors, raise some capital and get the new company rolling. Of course, just like not everyone wants to (needs to?) become an entrepreneur, not all new ventures are candidates or applicants for accepting equity investment from a venture capital firm or a group of institutional, corporate or angel investors. The decision tree that many entrepreneurs and VC (Venture Capital) firms use to arrive at their own answer to the “VC or not VC” question is a subject for another one of my lengthy articles, but if we are to assume that the hypothetical new startup venture in question is in fact a willing and able applicant for venture funding, then I’d like to outline the five major thresholds that must be crossed on the way to an Offer Sheet from a VC firm. 2. The preliminary follow-up meetings. 4. VC firm Partner meeting pitch. 5. Negociation of the equity funding offer and the closing of the placement. There is a bit of a myth that has been perpetrated by things like short descriptions in business or internet magazine articles, or expository scenes in popular movies and television shows where you may see it presented that an entrepreneur or company founder is seemingly “dropping in” for a chat-like brief meeting or talk, pitching their idea or business concept to a potential VC investor (these scenes usually take place in a partner’s office) as a simple elevator pitch type chat. I’m thinking of the scenes in the recent movie “The social network” as an example. Of course, there have been many, many venture capital placements made with entrepreneurs who had no written business plan, no formal business structure, market research, or product. But these are nearly always bets on an uncommon, brilliant technologist with a brilliant idea. The initial pitch meeting with a VC should be treated as crucial to the goal of getting a startup funded. If a VC doesn’t want to hear your pitch, believe me, they will be very vocal in telling you so. But if you are granted the opportunity to present your idea to a VC firm in an initial pitch meeting, take it seriously. Yes, that means, PowerPoint presentations, marketing materials – the more professional and comprehensive your marketing pitch is at this early stage, the greater the probability is of your company getting funded by a VC firm. 1. A description, including realistic market research, on the opportunity and the growth potential for the business model. 2. A vision or mission statement, summarizing the business model and plan into one succint statement. 3. Information, bios, and background information on the senior management team and the company founders. 4. Not just a writeup of the business model of the startup, but also a description of the model envisioned by the company for its distribution. 5. A fair and balanced appraisal of the business and market competition. DO NOT claim “We have no competition”: this is utter nonsense. 6. A complete, detailed description of the startup’s products and services. 7. A list of the key ingredients or factors that are needed for the startup to succeed. 8. A complete financial breakdown of the startup’s current finances, as well as projections for required capital investments as well as future cash flow estimates. If there is a single company founder, that individual should come alone or with a single member of the senior management team, and that person should be prepared to answer any and all questions that the VC firm may ask. It is important that the founder show, by the way they answer these questions, that they have spent a great many hours heretofore engaged in working through the mental logic of their answers. It is helpful, very helpful, if the entrepreneur shows by their manner in answering these questions that they have already thought of most of them, and have prepared, cogent responses. A VC firm will use this initial meeting to ascertain if you have what it takes to go to the next step in the process. What are some of the parameters VCs typically use to determine this? Well, things such as chemistry between you and the VC, if your idea and market research is realistic and logical, and is in keeping with the types of startups that particular VC firm funds, the strength of the management team, and how good your product or service and distribution plan is. 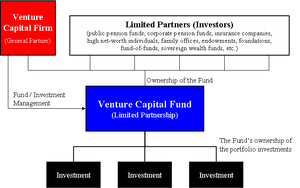 Venture Capital firms are generally structured as partnerships. If the intial VC partner in a firm that you have pitched your startup’s business concept to likes your team, your potential market, and your product and / or service, then that partner may very well set up a series of follow-up meetings in order to gather other opinions regarding this potential investment from the other members or partners in the VC firm. 1. Concerns regarding the business model or conceptual underpinnings of the startup’s business plan. 2. Reservations regarding the startup’s founders or senior management team. 3. Concerns surrounding the marketplace or competition. 4. Reservations based on preexisting impressions within the Venture Capital community. If this trepidaciousness is pronounced, then the entrepreneur’s chances at obtaining funding can be ruined. “Due diligence”, which can take meany different types of forms and processes, is a business term that basically means information gathering and fact checking. The VC firm partners will begin the due diligence process during the preliminary follow-up meetings. One of the most important forms of due diligence that venture capital firms undertake is customer due diligence. The firm’s partners will fan out into the marketplace, gauging customer interest and the level of acceptance or need in the target market for the entrepreneur’s products and services. Sometimes a venture capital firm will send the startup’s founder or founders out to meet with other entrepreneurs running companies in their firm’s portfolio of prior investments. This is, in general, a very good sign that the venture capital firm may be interested in investing in the startup, because the venture capital firm knows the entrepreneurs and startup founders they have already invested in well, and they understand their thinking and trust their technical judgement. These meetings are usually kept completely confidential – the other company startup owners won’t divulge details of the non-funded startup founder’s business, and the venture capital firm will also take steps to be sure that there is no competitive overlap between startup companies. The unbiased, honest assesments of the unfunded startup and its founder will be an important element, maybe even a vital element, in helping the venture capital firm to decide whether to fund a new startup venture. Venture capitalists will ask entrepreneurs for references – names of former colleagues, business associates, and customers they can call. Venture capitalists will call thoses references for certain, however it is also not uncommon for a venture capital firm to dig deeper and do some “outside” due diligence, talking with former employees, employers, and maybe even the competition. This is simply a standard part of the due diligence process for any venture capital firm that is about to invest in a new startup venture. A startup company founder should not take offense or become alarmed by this process, but should rather be expecting it. At this point in the due diligence process, the venture capital firm may ask for some additional meetings. These meetings could take the form of a summation of the competitive market analysis and feedback from the other portfolio entrepreneurs. It is very typical for the venture capital firm to go over critiques of the business plan, management team and key personnel, the idea or the business or distribution models of the startup. Although hearing this kind of criticism can be hard for entrepreneurs, it is a necessary and productive part of the process, and startup company founders should do their best to listen and learn. In effect, these types of meetings are not only important for a company founder’s experience, but also play a very important role in new company formation. If, at any point in the due diligence process, the venture capital firm’s partners stop meeting with or calling the startup company founder, it is not a good sign. The venture capital firm is most likely cooling on the company and the investment. Although venture capitalists have a richly deserved reputation for being busy and terminal multitaskers, they will still find the time to call and check in on a potential investment. This point in the overall process of getting a new startup company funded is probably the most difficult for entrepreneurs, as it can be truly maddening to be in anticipation of receiving venture capital funding, only to find out that interest in their company had faded at the venture capital firm a while back. Most venture capital firms have a set of established corporate policies and even a charter document or partnership agreement which states that either the full partnership of the venture capital firm, or a significant and stipulated subset of it, must gather and review a new venture deal before it is approved. This partner meeting is generally one of the last hurdles before a new venture investment in a startup can be approved. At this meeting the startup founder will be asked to present in front of the partnership and answer questions. In all of the excitement and adrenaline boost of the presentation to the venture capital firm, it is easy for entrepreneurs to get caught up in it all and digress into tangents instead of answering the venture capitalists’ questions with directness and succinctness. With only a single hour generally allotted to these types of presentations, effectively managing this time slot is of paramount importance to entrepreneurs. In the best interests of preserving this precious presentation time, although it is recommended that all the top officers of the company, or the department heads of marketing, sales, engineering, etc., are all in attendance, you should take great care that only one or two founders actually conduct the presentation and answer questions. The deal negotiation phase will of course never take place unless the partner meeting pitch does in fact go well. The deal nogotiation phase is the last stage of the venture capital placement and deal. Almost all startups will require the services of an experienced venture capital equity lawyer at this stage of the deal negotiation process. in the Boston area, these types of attorneys are not too hard to find. They hang out around startup groups like the 128 breakfast meeting groups, the MIT enterprise forum, Massachusetts Innovation Nights at the Waltham IBM Innovation Center and the Charles River Museum of Industry in Waltham, and many other places. You can also consult with the Martindale-Hubbell directory of attorneys for a good lawyer in your area who can help you if you require these types of services. Many venture capital firms have policies regarding ownership percentages that the firm must secure before a partner of the firm can agree to sit on the board of directors for a startup the firm has invested in. If a venture capital investment includes a seat on the startup’s board of directors, it is called an “Active investment”. If a venture capital investment does not include a seat on the startup’s board of directors, then it is called a “passive investment”. When a venture capital firm makes an active investment in a startup company, it is usually looking for a target ownership percentage in the neighborhood of 25% of the startup company’s equity. When a venture capital firm makes an inactive investment in a startup company, it is usually looking for a target ownership percentage in the neighborhood of 10% of the startup company’s equity. Of course, there are many different factors which could potentially influence a venture capital firm’s investment targets, including any special needs the startup may have, such as special management or personnel recruiting searches or help in recruiting board members that can enhance a young company’s industry positioning, credibility, and nascent corporate image. The most important facet of the negotiation process for a venture capital equity placement usually center around the issue of valuation for the startup firm. Valuation is the process of determining how much the startup company is worth, and valuation sets the stage for deciding how the division of the firm’s equity will be assigned once the initial equity investment is made. Within most venture capital placements is the notion of three constituency groups of eventual equity shareholders in the nascent firm: the company founders, the so-called “employee pool”, or the group of future or current startup company employees, and the venture capitalists. If a startup company is working on a really exciting or somehow valuable technology, or the founders have some special rare genius for their particular highly valued work, then it is possible that multiple venture capital firms will be vying for the opportunity to invest in the company. Sometimes these competing venture capital firms will offer different valuations, and some of these firms’ valuations may indeed become very attractive to the startup’s founders. Favorable terms and conditions can sweeten the deals, and these venture capital deals can in fact become extremely complicated. Elsewhere on this Hub Tech Insider blog, I have a video entitled “Structuring venture capital deals“, shot at a venture capital conference hosted on the MIT campus by the MIT enterprise forum, which goes into a great many details regarding how these deals are put together. Startups should think long and hard about whom they want to choose to do business with amongst competing venture capital firms. It is important that they choose firms that the company founders are comfortable working with. It is important to seek a true partner in a venture capital firm, a firm that will help the company’s founders and senior management team grow the company into a great and very profitable commercial enterprise. The end game is the goal of building a great company; the end goal is not to obtain the highest possible valuation for the startup from a venture capital firm. Once the hard work of securing an equity venture capital investment is made, a startup company’s founders can set about the exciting and hard work of building their startup into a tremendously competitive and nimble company.